Dr Mulligan is an International Fellow at the University of Exeters Tax Administration Research Centre (TARC), one of Europes leading research centres on tax. She is a member of the Editorial Board of the newly created Journal of Tax Administration, an open access journal for interdisciplinary tax research in the area of tax administration. The Journal is a joint collaboration between TARC and the Chartered Institute of Taxation (UK). Dr Mulligan has also been appointed to the Editorial Board of the Journal Advances in Taxation. Dr Mulligan is an elected member of NUI Galways Governing Authority since 2013. In 2014, she was awarded a Fulbright-CRH Scholar Award to carry out research in Harvard University, specifically in the Ash Center for Democratic Governance and Innovation within the Harvard Kennedy School of Government. Dr Mulligan is currently leading a work package as part of a successful Horizon 2020 research funding bid. Total awarded to the international multi-partner consortium is Euro 2.8m and the research project is entitled 'Revisioning the Fiscal EU; Fair, Sustainable, and Coordinated Tax and Social Policies. The project comes under the Societal Challenges pillar, and involves partners from universities and research institutes in Sweden, Norway, Denmark, the UK, Austria, Czech Republic, Canada, Brazil and Ireland. She has published in a number of international peer reviewed journals including Critical Perspectives on Accounting, British Tax Review, and Financial Accountability & Management. Mulligan, E. & Oats, L. (2016) Tax Professionals at work in Silicon Valley, Accounting Organizations and Society. 52, p.63-76. Collins, T., & Mulligan, E. (2015), Irelands Introduction of Transfer Pricing: A New Institutional Theory Perspective. Accounting, Finance and Governance Review, Special Issue on Taxation. Robbins, G., Mulligan, E. & Keenan, F. (2015), e-Government in the Irish Revenue: The Revenue On-Line Service (ROS)  a success story? Financial Accountability and Management. 31 (4), 363394. 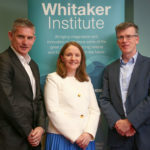 Dr Mulligans areas of interest include tax planning in practice, tax and strategy, performance measurement of the tax function, tax risk management, tax policy, tax compliance, tax lobbying, and tax administration, with particular interest in the institutional and social dimensions of taxation in practice. Her research activities fall into three broad categories (Tax in Practice; Tax Administration; and Behavioural Aspects of Taxation) with an overarching perspective of implications for one of the most important dimensions of public policy i.e. tax policy. She is an International Fellow at the Tax Administration Research Centre (TARC) at the University of Exeter, one of Europes top tax research centres. TARC undertakes research on tax administration in order to strengthen the theoretical and empirical understanding of tax operations and policies. The Centre is operated in partnership by the University of Exeter and the UKs Institute for Fiscal Studies, and its multidisciplinary research team includes economists, accountants, experimentalists, and psychologists. She is a member of the Editorial Board of the Journal of Tax Administration, an open access journal for interdisciplinary tax research in the area of tax administration. The Journal is a joint venture between TARC and the Chartered Institute of Taxation (UK). Coverage includes tax compliance, tax authority organisation and functioning, comparative tax administration, global developments in tax administration, and the international editorial board comprises leading academics in the field. Dr Mulligan has also been appointed to the Editorial Board of the journal Advances in Taxation. Dr Mulligan is currently leading a work package as part of a successful Horizon 2020 research funding bid. Total awarded to the international multi-partner consortium is Euro 2.8m and the research project is entitled 'Revisioning the Fiscal EU; Fair, Sustainable, and Coordinated Tax and Social Policies. The project comes under the Societal Challenges pillar, and involves partners from universities and research institutes in Sweden, Norway, Denmark, the UK, Austria, Czech Republic, Canada, Brazil and Ireland. (2014) Five Years on from the Grey Revolt: Pensions, Taxes and Social Citizenship under Irelands Austerity Programme. The Fiscal State and Social Citizenship II: Theorizing tax avoidance from socio-cultural perspectives, Linkoping, Sweden. (2012) Irelands Introduction of Transfer Pricing: A New Institutional Theory Perspective. Irish Accounting and Finance Association Annual Conference, National University of Ireland, Galway. January. (2011) A Coming of Age  A Perspective on Irelands Introduction of Transfer Pricing. Tax Research Network Conference. University of Coventry. September. (2013) A Critique of Sheryl Sandbergs book entitled: Lean In: Women, Work and the Will to Lead. University Womens Network, NUI Galway. Dr. Mulligan is an International Fellow at the University of Exeters Tax Administration Research Centre (TARC), one of Europes top tax research centres. She works closely with the Centres Deputy Director Professor Lynne Oats, and together they have worked on a number of publications including the editorship of a Special Issue on Perspectives on Taxation for Critical Perspectives on Accounting (2010). More recently, Dr Mulligan and Prof Oats collaborated on a Horizon 2020 funding proposal as part of the Societal Challenges pillar call with international partners from University of Umea, Sweden; Linkopings University, Sweden; BI Business School, Norway; Copenhagen Business School, Denmark; Kings College London, UK; University of Exeter, UK; Austrian Institute of Economic Research, Austria; Mendel University at Brno, Czech Republic; Queens University at Kingston, Canada; and Escola de Direito, Brazil.She is currently working with Professor Jay Rosengard of Harvard Kennedy School of Government and the Irish Taxation Institute on a joint publication arising from the Global Tax Policy Conference (Dublin, 2013).Dr. Mulligan has been awarded a Fulbright-CRH Scholar Award to carry out research in Harvard University, specifically in the Ash Center for Democratic Governance and Innovation within the Harvard Kennedy School of Government. In 2015, she will spend 6 month at Harvard, and work closely with colleagues (including Prof Rosengard) on the areas of Taxation in Practice and Alignment of Tax Policy and Administration. Dr. Mulligan is a member of the Steering Group of the UK-based Tax Research Network (TRN) and as such works in conjunction with the international Executive Committee to manage and conduct the business of the Network. In 2008, she was Conference Organiser for the 17th Annual Tax Research Network Conference hosted at NUI Galway.